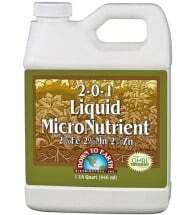 An organic, untreated Soft Rock Phosphate (0-3-0) with colloidal clay containing valuable trace minerals in addition to phosphorus. 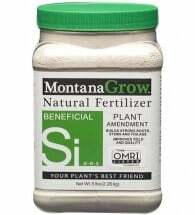 Since phosphorus is lacking in most soils, fertilizer applications are a must for superior results. Calphos™ contains a minimum of 3% available (and a minimum of 20% total) phosphoric acid (P2O5) and 20% Calcium (Ca). OMRI Listed for use in organic production. 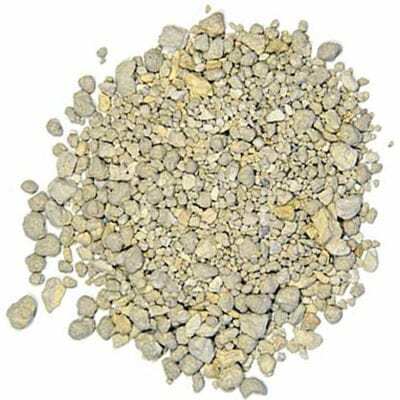 Once applied, rock phosphate remains in the soil until used by the plants – will not leach. 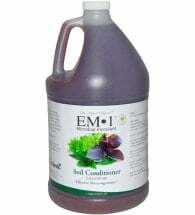 Ideal for fruiting and flowering plants, it stimulates strong root formation, hastens crop maturity and encourages earthworms and soil bacteria. • Earthworms and beneficial soil microbes love it! 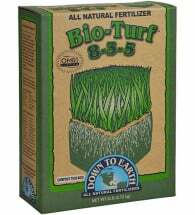 Broadcast 50 lbs per 1,000 square feet or side dress around existing plants. Calphos is fast-acting, similar to a superphosphate, and is relatively insoluble… so it will provide amazing results for a long time!